The operation request Presbyopia is more and more common. 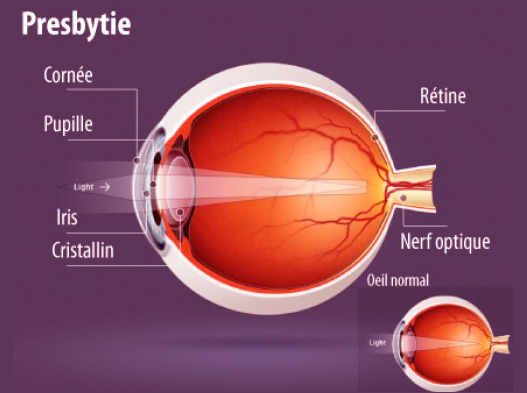 The operation of Presbyopia is for patients over 40 who wish to do without reading glasses. In 2008, two techniques are detached to correct Presbyopia: the presby-Lasik or replacement of a lens by a progressive implant. The purpose of the operation is to modify the shape of the cornea to change the optical power. The PresbyLasik is an improvement step in the evolution of this technique. The operation by the Presby Lasik laser is to create on the cornea two viewing zones: a central zone for near vision and a peripheral zone for distance vision. This is to make multifocal cornea. The Presby-LASIK consists in cutting a corneal flap with the laser Femto second. The flap will be lifted for the purposes of Excimer Laser then this strand will be put in place without sutures. This painless procedure takes only a few minutes. One of the most powerful software is the SUPRACOR. The SUPRACOR is the latest revolution among multifocal laser treatments for Presbyopia. It provides a solution that takes into account the vision of near and far. • This software has a CE mark since May 2011 in subjects hyperopic presbyopic +++ (ongoing marking myopic presbyopic subjects).